One in three adults in the United States takes more than five medications daily. With this many prescriptions in our country, errors in taking medications will occur, and errors can be dangerous, even deadly. 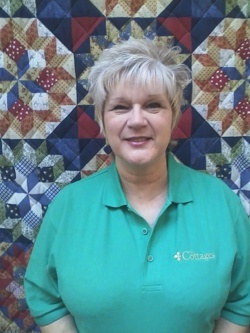 Here are five ways you can make sure medication management is easy for your senior mom. Medication schedules can and often do vary on a daily basis. 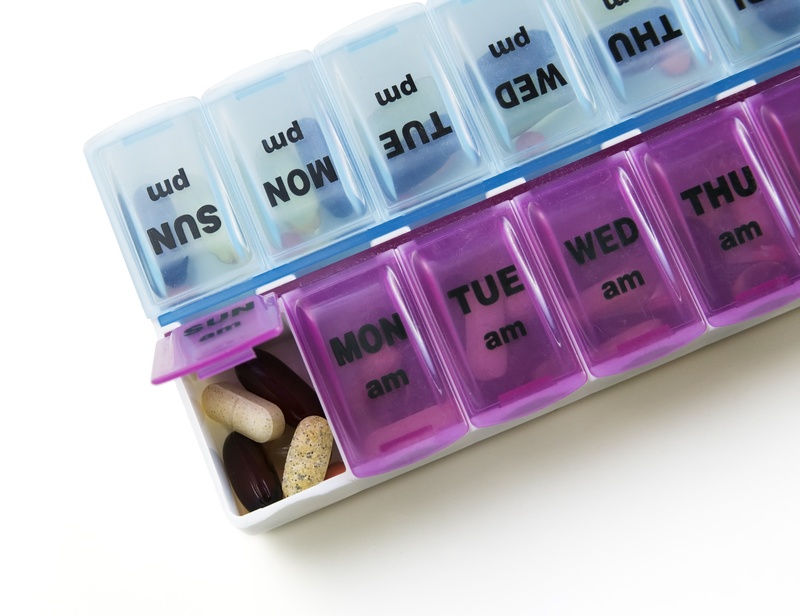 To make it easier for Mom to remember her medications and their doses, get her a pill organizer. Because many of your senior mom’s medications will need to be taken at different times of the day, consider a larger, hourly pill organizer. If you want to get things running really efficiently, buy your senior mom an electronic pill dispenser that dispenses proper dosages at the right time after you program it. Little reminders never hurt, so have a written schedule in a visible place in the house so Mom can double-check her medications and their doses as she takes them. Mom should carry a list of all of her medications on her person at all times. This list should detail her medications, their dosages, and how often she needs to take them. The list should be updated yearly or every time a new medication is managed or a dosage is changed. Keeping a list can help your senior mom, you, and all of her doctors stay on the same page when it comes to Mom’s health. My Medicine List is an easy, printable medications list that guides you through filling it out. When your senior mom makes medications a part of her daily routine, they will be harder to forget. If she doesn’t already, make sure Mom takes her medications around the same time as she does other daily tasks. Taking morning, afternoon, and evening medications with meals is an easy routine to start to follow, especially since many medications need to be taken with food anyway. If Mom has other daily routines that she always performs, like brushing her teeth or reading a magazine before bed, she can choose to take her medications at those times as well. So long as the activity is recurring, it will help to jog her memory once she establishes the routine. An adverse drug event (ADE) is the name given to what happens when a patient is harmed as a result of a medication. Roughly 700,000 emergency hospital visits each year are due to ADEs. Each time Mom is prescribed a new medication, ask her pharmacist what to do if the medication is missed or taken improperly. Some medications will allow for a skipped dose. Other medications will require she take a missed dose as soon as possible. If too much medicine is taken at one time, serious risks can occur. It is important that you read all medication labels and know which medications are dangerous when taken incorrectly. If Mom has taken too much medication or has skipped several doses, call her doctor and ask if you need to seek emergency treatment. If you cannot reach her doctor, and you aren’t sure what to do, take her to the closest hospital emergency room or urgent care clinic. Make sure that you and Mom are communicating about her medications often. Stay in touch with her doctors as well; it may be up to you to be the channel that connects all of Mom’s separate doctors and prescriptions. Going to her appointments with her is a good way to get to know her doctors. Ask her doctors for information sheets on all of Mom’s medications. Keep a saved copy in a few different spots for easy reference later. If possible, keep copies on your smartphone for quick access. Copies of the information sheets should be placed in Mom’s medicine cabinet as well.